2814 Gerry Ellington Road Gerry, NY. 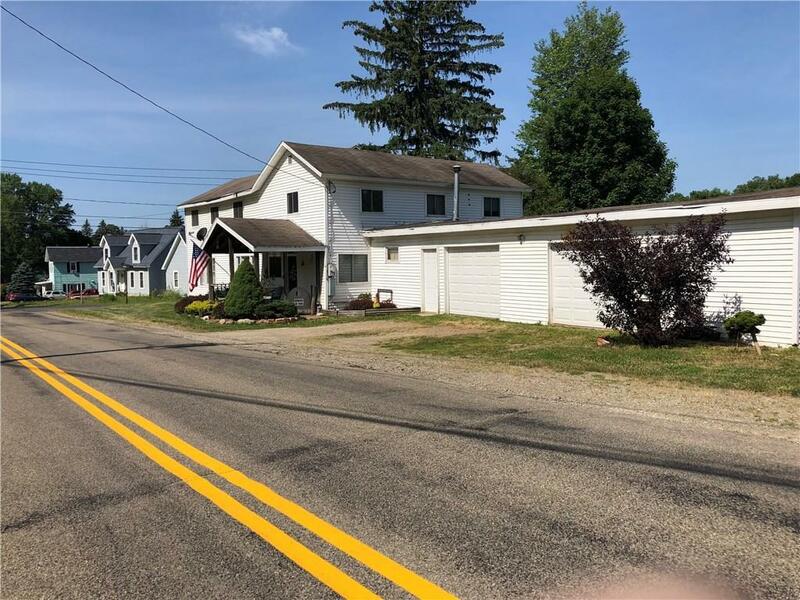 | MLS# R1133882 | Chautauqua Lake Real Estate. Specializing Chautauqua Lake helping Buyers and Sellers since 1985. OWNER FINANCING---HANDYMAN with Large Family NEEDED--4/5 Bedroom/2 Bath Home at outskirts of Gerry Village has 2 Acres with Creek crossing rear section..3 Bay Attached Garage with one bay a second kitchen and utility area--Workshop--Lots of Storage..Open layout on first floor with Kitchen/Eating Area and large Living room with wood stove (Negotiable),, and wood burning fireplace..One Bedroom and Full Bath down--3/4 Bedrooms plus computer room and full bath up..Great Cassadaga Valley Schools with Bus at door--The Various finishing and garage roof work needed will limit Bank financing but options available or OWNER WILL FINANCE with Large Down Payment..2814 Gerry-Ellington Rd just up from Rt 60 at corner of Damon Hill Rd..Owners moved South--Take a look-see..We have keys.. Directions To Property: Rt 60 Straight Thru Gerry Village One Block To Corner Of Damon Hill Rd..